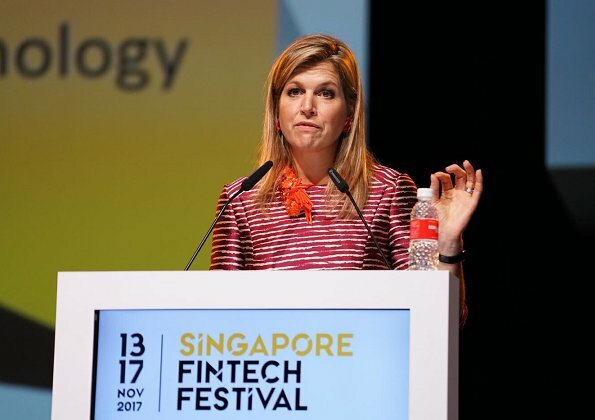 On November 16, 2017, Queen Maxima of The Netherlands attended the FinTech Festival in Singapore. 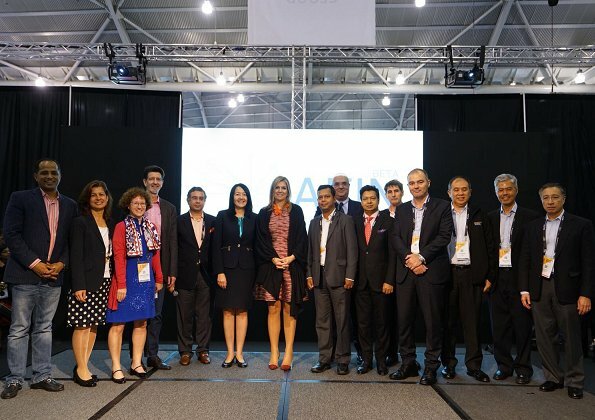 The festival was attended by more than 25,000 participants from 100 countries and is organised by the Monetary Authority of Singapore as part of the city-state's ambitions to become a global leader in the use of technology to make financial transactions easier. 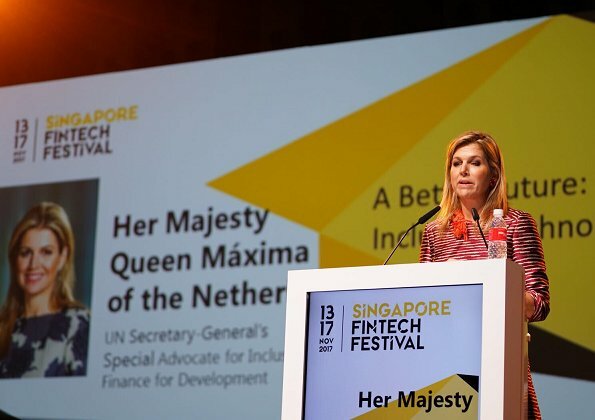 Queen Maximae gave a speech at the launch. Gracias Angie...je je no sabía qué era esa cosa extraña que le cuelga de un lado del cuello. Qué despilfarro de coral para crear una langosta tan tonta. If you saw her walking down the street you'd never guess she's a queen. Ugly hair, ugly dress, ugly wrap and that orange thing by her neck!!! She looks tired, not as th role model of the projected picture.